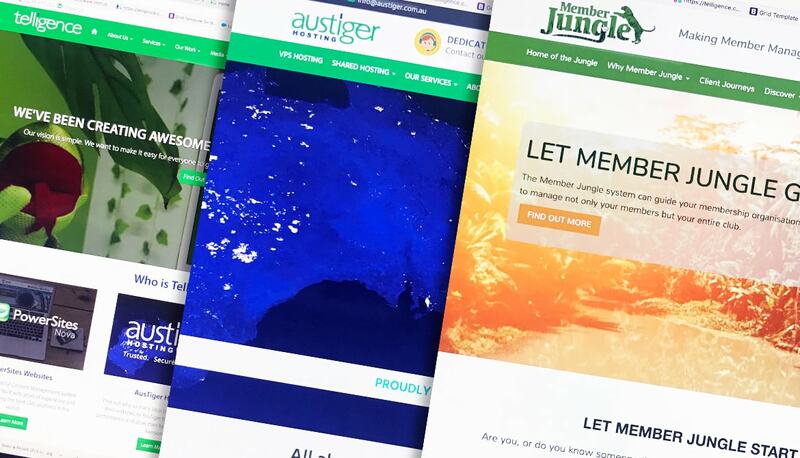 We create amazing websites that can grow with you! We deliver websites that not only look amazing but are easy to use, let you change and add pages, and allow you to grow by adding on from our range of add on features. Building websites is not just a job to us, we live and breathe it. Our passion is what drives us in creating awesome websites. We build websites that will leave a lasting impression for all your customers and visitors. We can help you make the right decision and get a website that works as hard for your business as you do. With over 20 years experience in delivering enterprise level websites you can trust that the team at Telligence will help take the difficulty out of getting a new website! We develop our websites with only the best technology with you in mind. In addition hosted locally to ensure your website will be and remain fast, secure, flexible to grow, supported and online 24/7 all year round. We offer personal support and advice that is based on years of experience supporting clients doing business online and you'll find Telligence is much more than "just" your average website provider. Telligence and PowerSites websites will become your partner in your online success! We have a heap of options we can discuss with you. We are dedicated in providing you with the best website solution. Are you ready to take your web presence to the next level? Then don’t hesitate and contact us today to start your website project with us. Our Custom Designed Website packages are not only designed and developed by us, but they are also completely supported and hosted by us too. So you will never find yourself with a problem or a question with your website and no one to help, we are always here and ready to help you! Our team will make the process as easy as we possibly can as well as offering you friendly advice and tips along the way.